In its research programs, IIEP engages undergraduate, masters and Ph.D. students from departments across the university, including those in the fields of economics, international affairs, political science, history, and public health. Researchers work directly with IIEP affiliated faculty on projects in the fields of international trade, international finance, and development economics and poverty reduction. 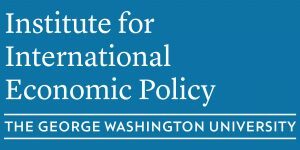 The IIEP has four signature initiatives in the areas of climate change adaptation, Ultra-Poverty, global economic governance, and U.S.-China economic relations and China’s economic development. Students interested in participating in IIEP research activities are encouraged to email iiep@gwu.edu with a resume, a cover letter describing relevant research interests, and an up-to-date unofficial transcript.